Nail psoriasis treatment is used to treat psoriasis of the nails. As it is psoriasis is a skin condition where there is an increase in the growth and production of skin cells. This leads to a surface skin buildup that is much faster than normal which causes dry patches of skin forming along the body. In some people not only the skin but also nails are affected by the disease wherein the nails grow thick, discolored, pitted and deformed. Instead of living with the condition, there are many nail psoriasis treatment options you can try. Phototherapy is a good remedy for troubled nails wherein the nails are exposed to natural UV rays or sunlight or artificial UV rays. It helps counteract deformities or discoloration before nails grow. 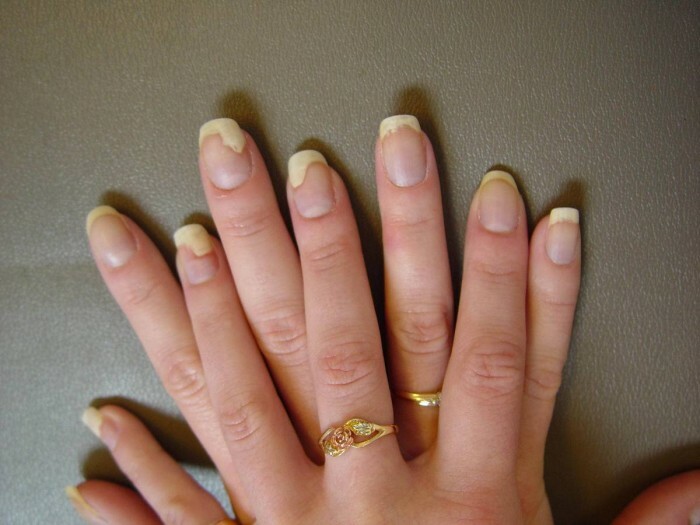 It however is not advised to expose nails for a long time as too much sunlight too is not good for the condition. Your doctor will advise how much of exposure is ideal and required. In case you don’t have time for the sun, use artificial UV rays or rather broadband UVB therapy. Your hands get direct exposure on the hands through artificial lights. While the exposure time is limited, there are various sessions performed through the week. Your doctor may also suggest using PUVA treatment or photochemotherapy as the right nail psoriasis treatment for your condition. This involves the use of Psoralen (P) and exposing the affected nails and skin to UVA(long wave ultraviolet radiation). Sometimes even prescription medication Psoralen may be prescribed by your doctor for applying either by painting over the affected area or by taking orally. Phototherapy helps by reducing the speed of skin production and thus improves the condition. Though a bit expensive, it is one of the better nail psoriasis treatment options. Topical treatment is usually resorted to when phototherapy does not work at treating nail psoriasis. Two of the most common topical treatments are corticosteroid lotions and retinoid cream. These medications work by reducing the inflammation or helps by balancing the DNA activity wherein skin cell production slowly returns to a moderate rate. This thus changes the way in which nails grow out of the fingers. Topical anti-fungal creams are also used as nail psoriasis treatment if there is fungal infection along with nail psoriasis. In fact, sometimes nail psoriasis is made worse because a fungus infection has already weakened the nail regions. It is thus important to treat the fungal infection and thus reduce its infection. However just treating the fungal infection is not enough to treat nail psoriasis. It just treats the fungal infection; you still have to try these nail psoriasis treatments of your nails. Good oral medications you can use for treating your nail psoriasis include ciclosporin, retinoids and methotrexate. Though they are generally used for treating generalized psoriasis, they do help in treating nail psoriasis too. Your doctor may prescribe corticosteroid injections as nail psoriasis treatment. The injection is injected directly into the troubled finger’s nail wherein it helps reduce inflammation and lets your nail grow back as normal. In severe nail psoriasis cases, the best treatment option would be to remove the affected nail. A local anesthetic is given to reduce the pain wherein the nail is loosened from the bed and slowly lifted from the finger. This done, the next nail that grows is a more natural looking one. Many nail psoriasis sufferers use over the counter creams like those with vitamin D for treating nail psoriasis. These creams are not only easily available, they also give lots of relief. You just have to massage the vitamin D ointment to the nail bed for 5 minutes, twice or thrice a day. Coal tar bath oil is also a great OTC treatment option where you have to pour 3 full caps of coal tar oil to a tray of warm water. Soak your damaged nail in the mixture for half an hour and then massage a moisturizer on each nail. You can also get relief from nail psoriasis by soaking the damaged nails in warm water for half an hour so that your nails, nail bed and nearby skin softens. This not only provides relief, it also reduces the swelling psoriasis causes. For better results, add oils and oatmeal bath oil to the water as it helps reduce the skin layers that build up through psoriasis. Then using a loofah sponge or pumice stone, gently rub all the affected areas under the nail. This done, apply medications like tar products, salicylic acid and steroids to the affected area. It is usually better to use combinations of these products as they work better than using one medication at a time. It is always better to wear gloves on the hands or socks on the feet after applying prescription ointments and creams to the nails. This keeps the medication from rubbing off for at least half an hour. Make it a point to bathe and shower regularly while lightly scrubbing the skin affected under the nails. Always cut nails short as it avoids further complications. 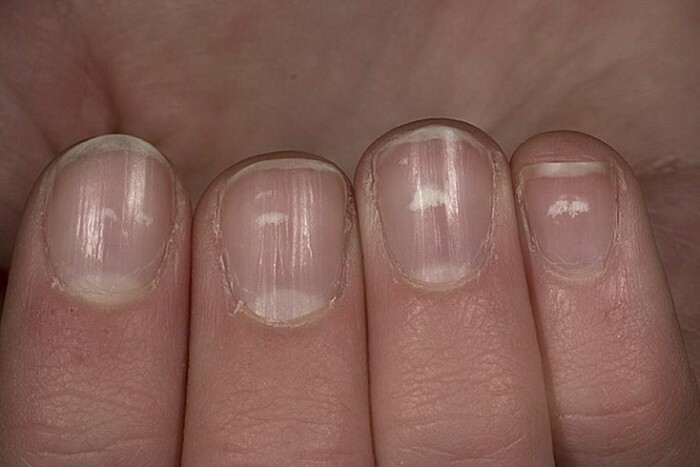 Moreover, the long psoriatic nails are more susceptible to tearing away if and when the nails are rubbed on certain areas which only worsen the condition. Take extra care at treating your affected fingernails like if you work a lot with your hands, you have to wear gloves while working for extra protection. 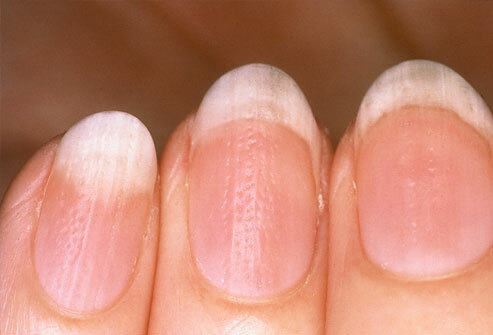 You could improve the appearance of your nails by gently evening the thick and pitted finger nails using a nail file. Then apply some nail polish very smoothly and be careful while doing this to avoid further damage. If required, you could also add some artificial nails as it helps make your nails look more appealing. Just make sure you are not allergic to the glue you use. So you see there are various nail psoriasis treatment options to choose from and use to treat nail psoriasis. Just remember that it’s not quick or easy treating the condition. You need lots of patience, effort and time as any good treatment for nail psoriasis requires time to help treat and improve the condition.